Perennia Landscaping has been owned and operated by Julian Charnis since 1977. Mr. Charnis has a B.A. degree majoring in physical geography, weather and climate, and map making, with a minor in geology, and 33 years experience working as a horticulturist and arborist. He worked at the New York Botanical Gardens in the Bronx for three summers during college in the propagation houses and in the arboretum learning how to raise and maintain the varied and beautiful landscapes characteristic of NYBG. He also worked as an apprentice to the Riverdale Tree Service for one year after college learning how to climb and prune trees in Riverdale, Wave Hill, and Central Park. 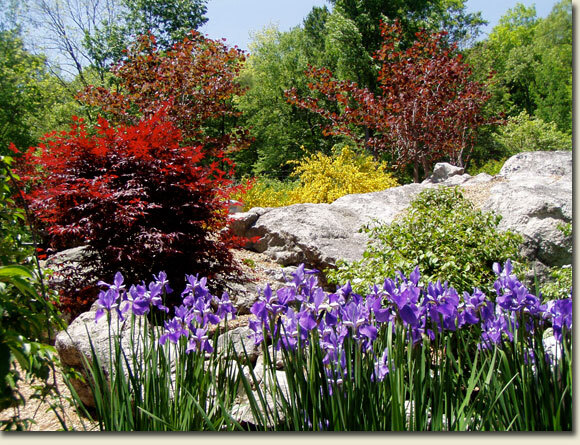 During more than 33 years serving both residential and commercial clients in Manhattan, Riverdale, and Westchester, Mr. Charnis has acquired extensive knowledge of the plants available for landscape gardening in our temperate Northern Westchester climate. Currently he works in Briarcliff Manor, Ossining, Croton-on-Hudson, Cortlandt Manor, Yorktown Heights, Bedford Hills, Mt. Kisco, Chappaqua, Pleasantville, and Armonk.